Also known as the 12 Apostles, it has an unusual habit of forming new plants on the ends of its arching lush green leaves. The Brazilian Walking Iris makes a great hanging basket plant or pot plant as enjoys being pot bound, but also great in the garden. 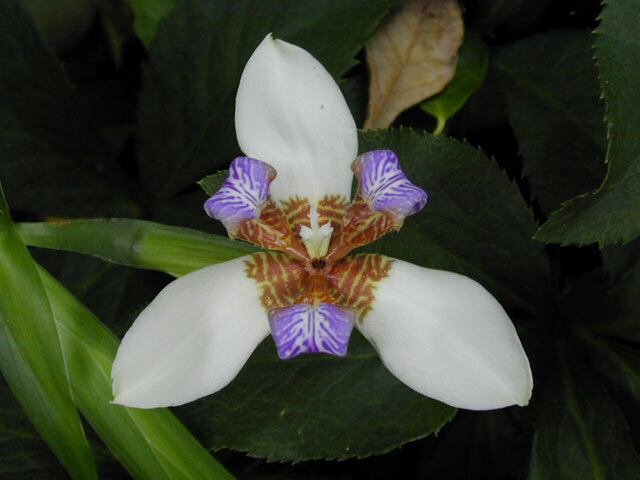 The iris-like flowers are white with purple/blue markings. Although the spring flowers are short-lived they are plentyful. Can be grown indoors, or outside in part shade. Tolerates some moist conditions but also drier soil. Protect from frost.